Warren, the koala, has had enough of people calling him a bear. He’s on a mission to set the record straight and let everyone know that koalas are marsupials, not bears! After all, Australia doesn’t have bears (except some at the zoo). 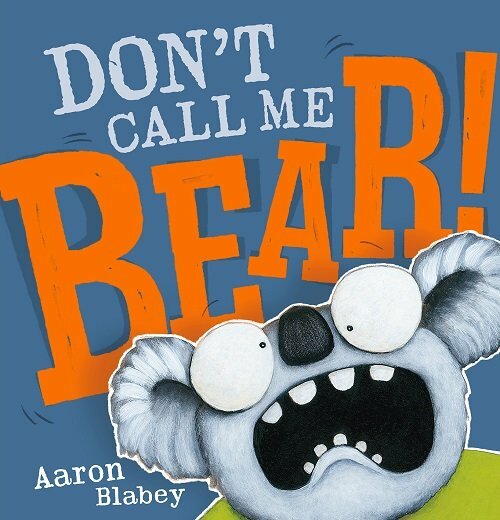 Don’t Call Me Bear is another hilarious rhyming book by Aaron Blabey that will have children in fits of giggles. Not only is this a fun read aloud, but it will also teach children all about Australian animals and marsupials. Children will enjoy labelling the cartoon-like illustrations of animals (they’re bound to chuckle at the page showing all the marsupials in their undies) and describing the differences between them. This is the perfect book for working on children’s use of negative words such as: no, not, don’t, doesn’t. For further speech and language targets in Don’t Call Me Bear, see the list below.